Ready to start the Hearing Assessment? 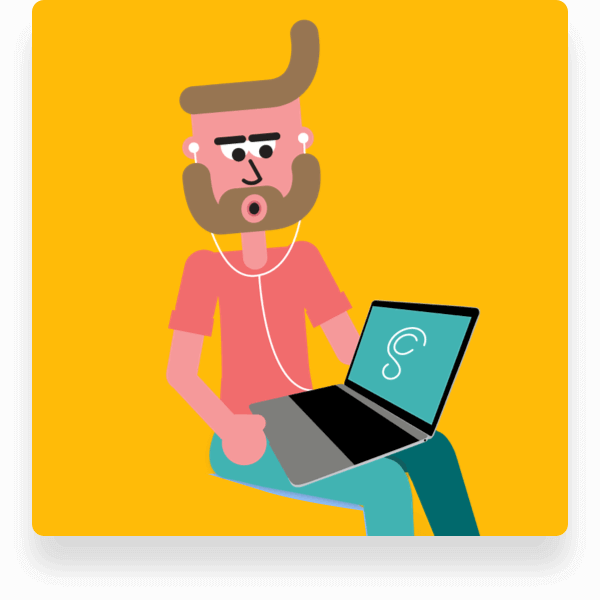 Make sure you have a pair of headphones, and are in a quiet room. Click ‘Start’ when you’re ready to begin! First you’ll do a quick pre-screen. After the Pre-Screen, you’ll move on to the Minimum Threshold part of the assessment. The goal here is to find the QUIETEST volume at which you can hear a range of tones, from low pitched tones to high pitched tones. 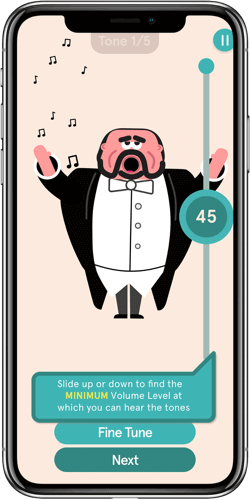 Simply Adjust the slider to find the volume level where you can BARELY hear each tone. If you were to go any lower, it would be silent! Repeat this process for all frequencies. 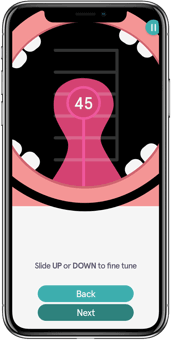 You can Fine Tune in between the notches to make sure your measurements are just right. Simply tap ‘Fine Tune’ and make the adjustment. And don’t worry if you make a mistake, you can always go back and change your measurements! Next, you’ll tackle the Loudness Evaluation part of the Assessment. Those of us with hearing loss often have a LOWER tolerance for loud sounds. 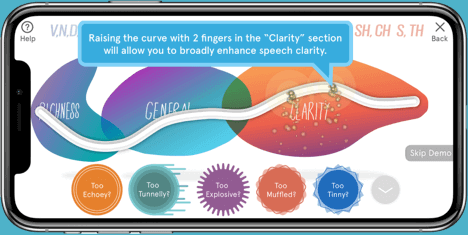 Finding this tolerance threshold allows us to more accurately craft your hearing response for the most precise speech understanding! Sort of like Michelangelo sculpting the David. 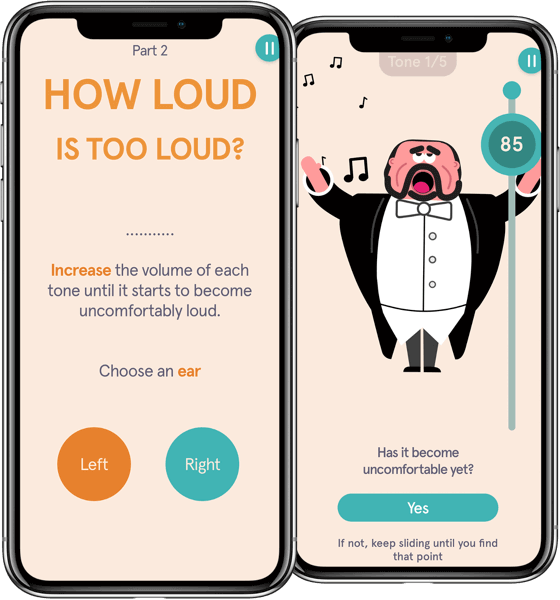 You’ll be presented with tones and asked to identify the volume level at which it gets ‘uncomfortably loud.’ It should NOT be painful, but rather, a level which you wouldn’t want to listen to in conversation throughout the day. When you’ve successfully found your MAXIMUM volume level, click ‘yes.’ Repeat this process for all frequencies. 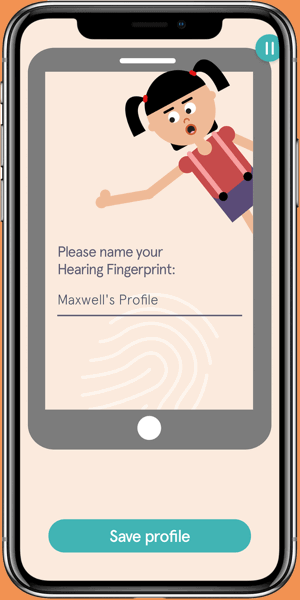 Now that you’ve completed the hearing assessment, name your profile. 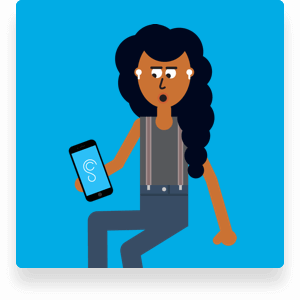 Your very first profile is referred to as your “hearing fingerprint,” because it measures the unique way you hear when in a quiet listening environment. 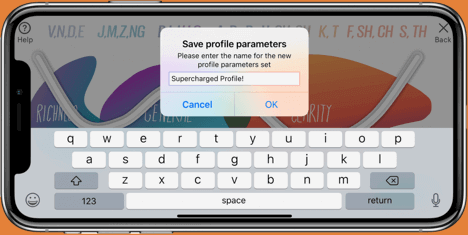 You can use this profile later while streaming personalized movies, music, and TV on your Mac, and while making personalized phone calls on your iPhone. 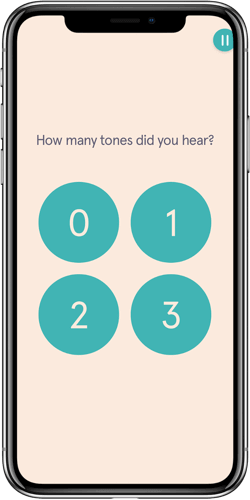 You can take the hearing assessment as many times as you want and create multiple profiles. Here is your Hearing Fingerprint! It tells you which letters you can hear well and which ones we can help you with! 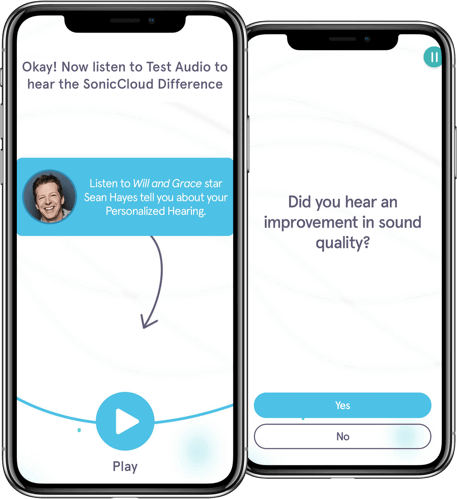 Next, Listen to a recording by Sean Hayes to TEST your new audio. 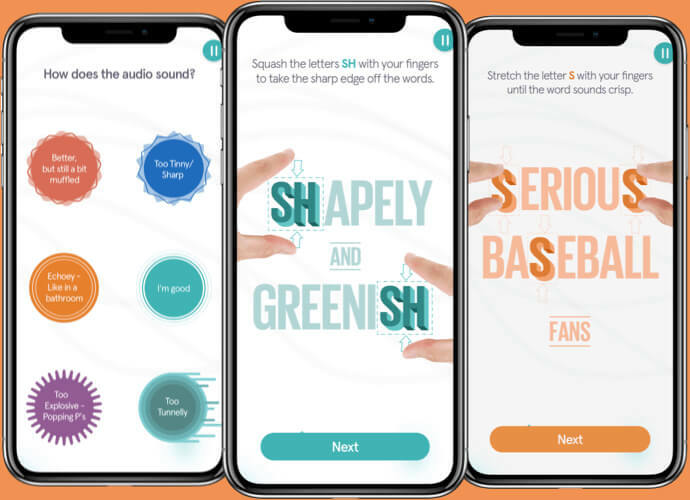 After tapping ‘No,’ listen to the audio recording and make changes by stretching letters such as SH or S until they sound crisp and clear. Not too sharp, not too muffled, but just right. Once you’ve zeroed in on crisp, clear sounds, you may find you also want want to bring back the natural quality of the sound. 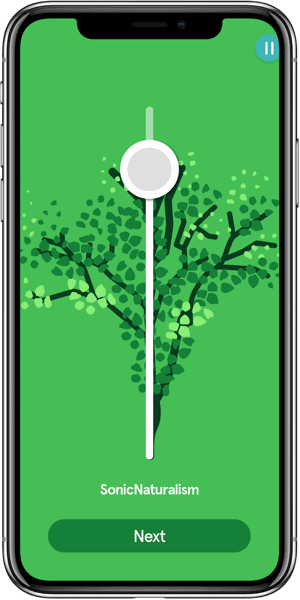 Use the SonicNaturalism slider for this. You’ll love it! Now listen to the audio recording again, and hear how it sounds! If you’ve gotten the right level of improvement, excellent! 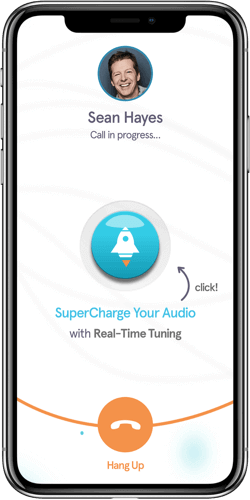 This is the MOST precise tuning you can do with SonicCloud. 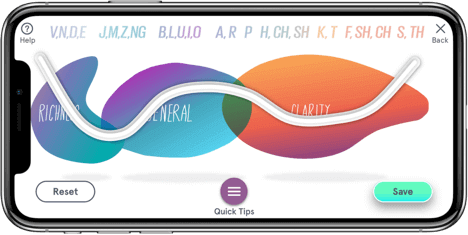 If you tap on Quick Tips, you’ll see a range of options. For example, if you choose “Too Muffled,” you’ll get a mini-tutorial showing you how to make the audio sound less muffled and more clear. When you’re ready, simply follow the suggestion to hear the difference for yourself. Once you’re satisfied with the sound quality, SAVE this as a new profile! 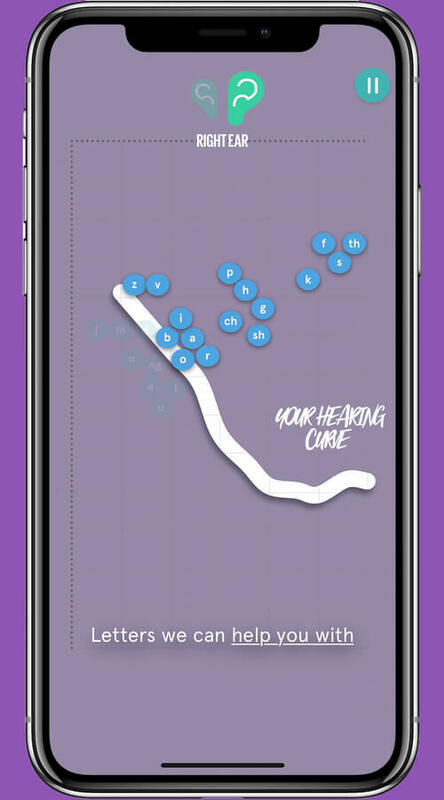 Your hearing profiles will follow you around wherever you go! 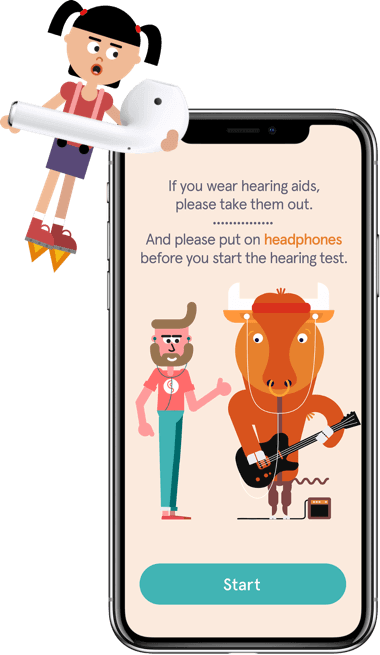 Now that you’ve completed the hearing assessment, and have your very own hearing profile, you’re ready to make crystal clear phone calls on your smartphone, and stream TV, Movies, Music and more on your computer. Next, we’ll explore how to Stream Media and Make Phone Calls using SonicCloud!